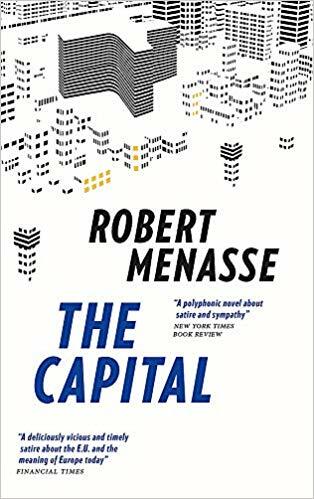 Posted on April 18, 2019 by Mrs P.
I was kindly sent a copy of Robert Menasse’s The Capital by MacLehose Press after a serendipitous meeting with translator Jamie Bulloch and editor Katharina Bielenberg at London Book Fair. Then the pressure of two Brexit deadlines kicked in, and the last thing I felt like doing was reading an Austrian satire on the EU! However, now that we’re in (temporarily) calmer waters, I’ve finally sampled the first couple of chapters and enjoyed them very much. So far, we’ve had a pig on the loose in central Brussels, a murder in the Hotel Atlas, and a thoughtful meditation on mustard – all delivered with beguilingly dry humour. We’ve also been introduced to a cast of European characters who are in some way connected to the European Commission and its possibly doomed jubilee celebration plans. The Capital is a genre-busting political-satirical-literary crime novel, so may not be one for purists, but it’s garnered a series of excellent reviews, such as Mark Lawson’s for The Guardian, and is nothing if not timely for us Brits. 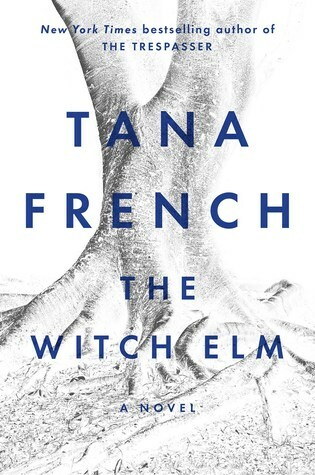 For years, fellow readers have been telling me how brilliant Tana French’s novels are – particularly her ‘Dublin Murder Squad’ series. And for years, I’ve somehow not managed to read a single one of her books. So when I was going through a pile of old Review magazines today and spotted an interview (below) about her novel The Wych Elm – a psychological thriller that’s been compared to Donna Tartt’s The Secret History – I knew that the time had come. It sounds like the perfect high quality escape for an Easter weekend. 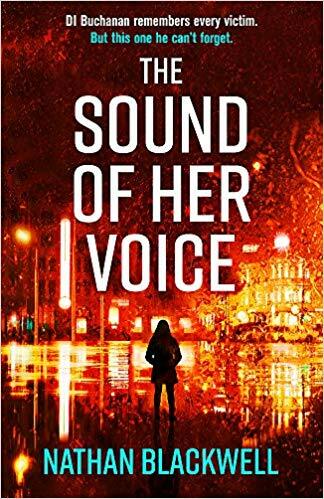 Last but not least, Nathan Blackwell’s The Sound of Her Voice is out *today* from Orion (thanks to Craig Sisterson for the heads up). 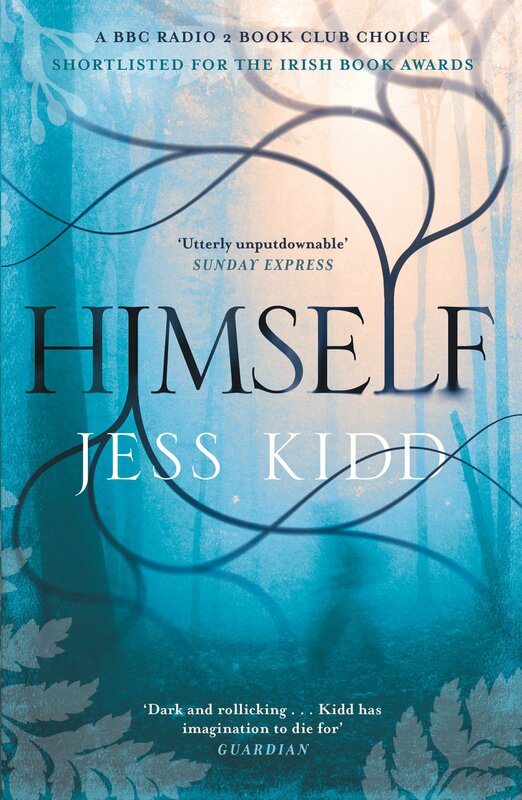 I was lucky enough to have a sneak peak at this novel in August last year, when I interviewed the author, a former policeman, about this debut novel for the blog. The story centres on Auckland Detective Matt Buchanan and a traumatic crime encountered early in his career – and was nominated for both the 2018 Ngaio Marsh Best First Novel Award *and* Best Novel Award. Impressive! You can read the full interview here – which gives fascinating insights into the author’s own policing experiences and how he’s deployed them as a writer. 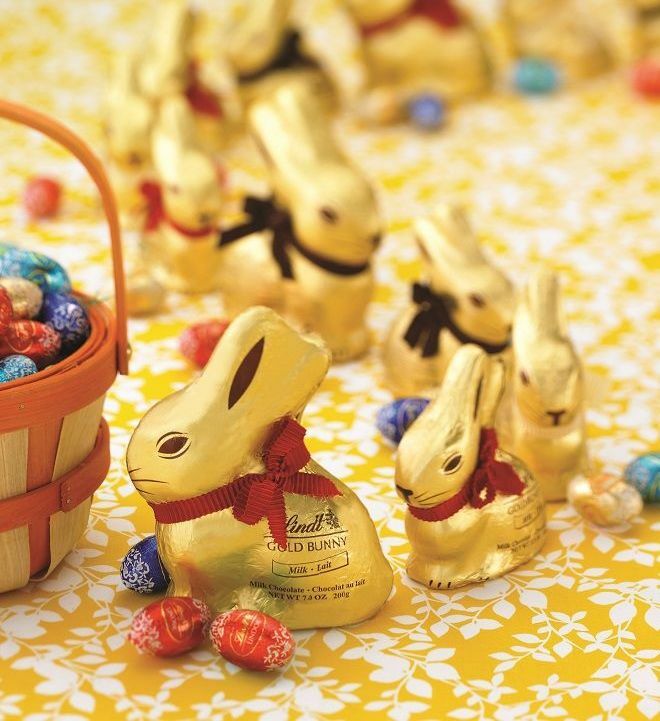 Have a lovely Easter break, everyone! 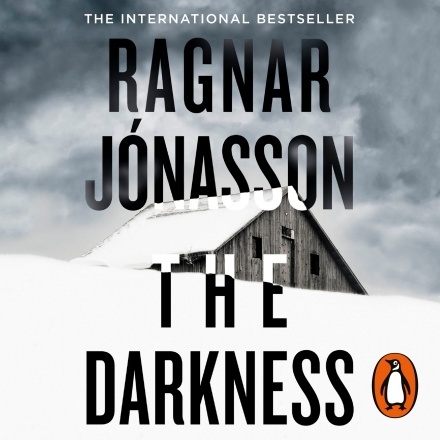 Posted on March 9, 2019 by Mrs P.
I’ve been reading lots of Scandi crime fiction in preparation for the Petrona Award judges’ meeting, which is coming up soon. As ever, the quality has been impressively high. Two I’ve read recently and really liked are Ane Riel’s Resin and Jørn Lier Horst’s The Katharina Code. First line: ‘The white room was completely dark when my dad killed my granny’. I’m oddly pleased that Riel is a Danish writer. While Denmark seems to have a knack of turning out fabulous TV crime dramas – first and foremost The Killing – it hasn’t been quite so hot in terms of its crime fiction. So reading this very interesting novel has felt like a treat. 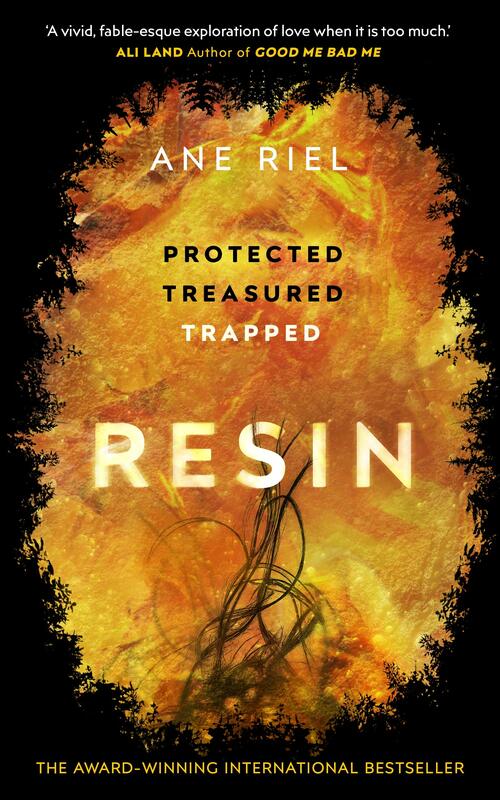 Resin can’t exactly be termed a conventional crime novel, but as the first line shows, there’s a crime at the heart of the novel, and it is explored, at least in part, through the eyes of a little girl named Liv. Riel expertly pieces together the events that led to the crime, and in the process tells the story of a family that has turned inwards with tragic consequences. I particularly liked the way the story was narrated from a number of different perspectives within the family, and what it had to say about love, social isolation and the importance of community. If you’re a regular reader of this blog, you’ll know I’m already a huge fan of Lier Horst’s ‘Inspector Wisting’ series, one of which, The Caveman, won the Petrona Award in 2016. Can he make it a double?! 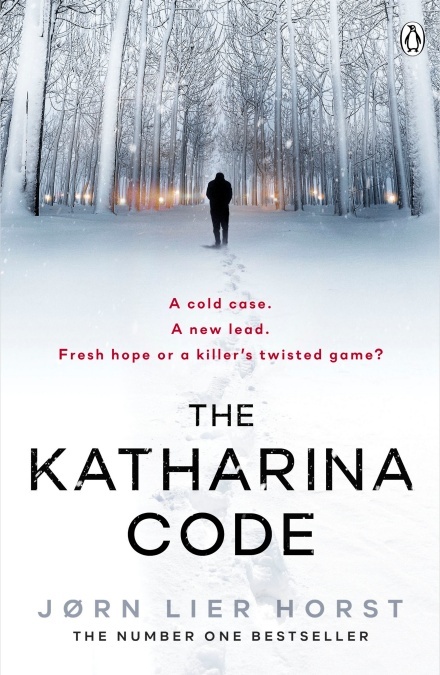 The Katharina Code contains one of my favourite things – a really gripping cold case. Every year, Wisting gets out his notes on the disappearance of Katharina Haugen, who vanished from her house 24 years earlier, leaving only a mysterious ‘code’ on the kitchen table, ‘a series of numbers arranged along three vertical lines’. Soon, a new lead in another missing persons case will get him thinking about Katharina’s case in a radically different way. Beautifully written, as ever, this is a thoroughly entertaining and absorbing read. 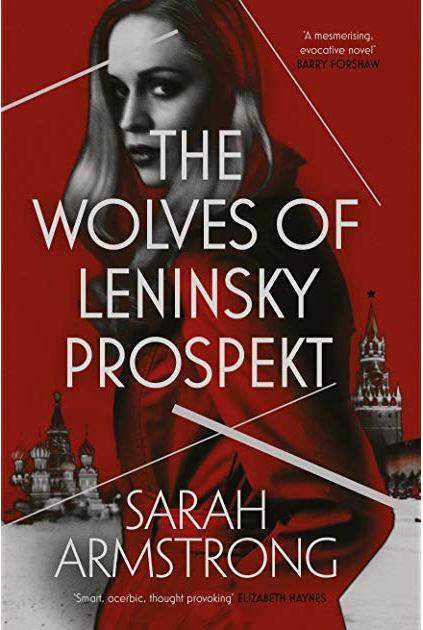 If you’d like to see all the eligible titles for the Petrona, then take a stroll over to Euro Crime, where Karen has put together a lovely list. In other news – it’s heartening to hear that sales of translated fiction are booming in the UK, in spite of (or perhaps even because of) Brexit. Overall sales of translated fiction are up by 5.5%, with more than 2.6m books sold, whose value is £20.7m. You can read more in Alison Flood’s piece over at The Guardian – ‘Translated fiction enjoys sales boom as UK readers flock to European authors’ – which also notes that Chinese and Arabic translations are doing well. One of the biggest sellers is our very own Norwegian crime-writing powerhouse Jo Nesbø. And finally… In an odd twist of fate, Brexit has led me to try my hand at fiction for the very first time. Who’d have thunk it? In any case, I’ve written a darkly humorous crime story called ‘Your Nearest Brexit’, which is available here (under a pen name). It was great fun to write, and, as a reviewer of many years standing, I’ve learned a lot about life on the other side of the fence! All profits are going to the ‘Led By Donkeys’ billboard campaign, which is very wittily and effectively holding certain UK politicians to account. 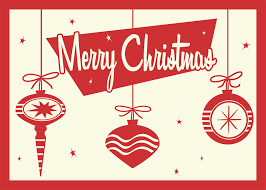 Posted on December 8, 2018 by Mrs P.
Here are Mrs. Peabody’s 2018 Christmas recommendations! Each is one of my top reads or views of the year, and will fit snugly into the Xmas stockings of all who’ve been good. Don’t forget to treat yourself, too! 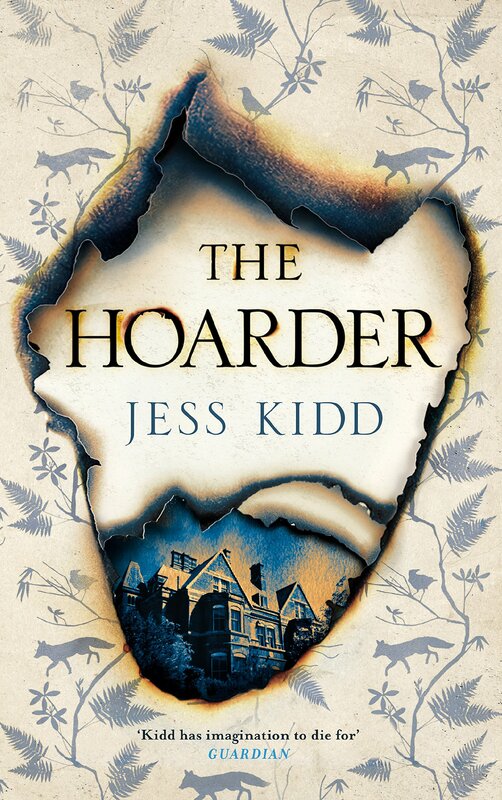 The star of this highly original crime novel is Maud Drennen, newly appointed carer for ancient, belligerent hoarder Cathal Flood, who lives in a massive house in London and is the despair of social services. Both are Irish exiles and both have secrets to hide. There are mysterious disappearances, perplexing clues and dicey situations, not to mention a supporting cast of half-feral cats, an eccentric landlady and levitating saints. The novel has serious things to say about violence, family dysfunction, social isolation and old age, but is also deliciously irreverent (‘Renata is especially glamorous today, clad in an appliquéd romper suit and feathered mules’), and depicts its characters with warmth and heart. Its language is strikingly rich and expressive. 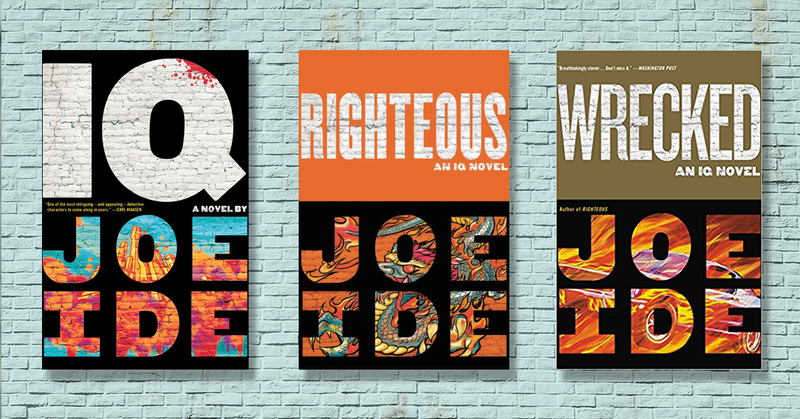 Joe Ide’s IQ, the first in the ‘Isaiah Quintabe’ series, was one of my most satisfying reads of the year. Taking inspiration from iconic detectives such as Conan Doyle’s Sherlock Holmes and Walter Mosley’s Easy Rawlins, the novel fuses classic crime with urban noir in its depiction of IQ, an unlicensed black Long Beach detective, and Dodson, his streetwise sidekick (“It’s a hustler’s world, son,” Dodson said, “and if you ain’t doing the hustlin’? Somebody’s hustlin’ you”). 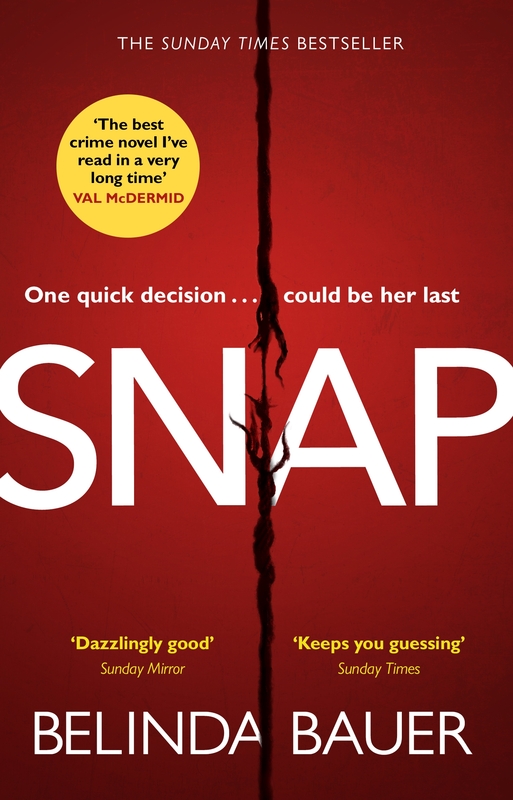 It’s a remarkably polished debut that tells an absorbing coming-of-age story while treating us to a cracking investigation bristling with intriguing characters. Inventive, ingenious and authentic, the novel is a moving study of resilience and of life on the rougher side of town, but is also outrageously funny in places. You can read my full review here). 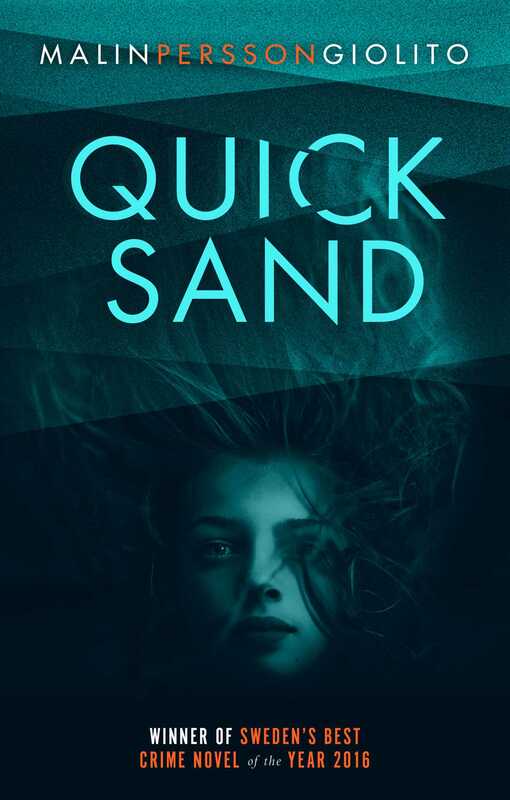 Malin Persson Giolito, Quicksand, translated by Rachel Willson-Broyles, Simon & Schuster, 2017 (Sweden). The very worthy winner of the 2018 Petrona Award (of which I’m a judge): “The judges were impressed by Quicksand’s nuanced approach to the subject of school shootings. 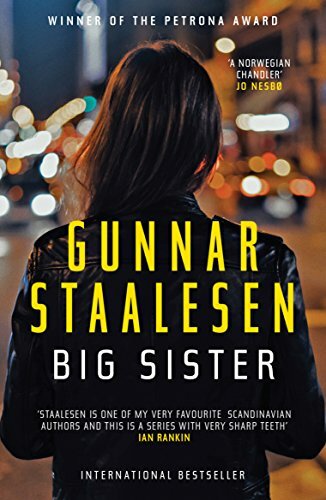 Persson Giolito refuses to fall back on cliché, expertly drawing readers into the teenage world of Maja Norberg, who faces trial for her involvement in the killings of a teacher and fellow classmates. The court scenes, often tricky to make both realistic and compelling, are deftly written, inviting readers to consider not just the truth of Maja’s role, but the influence of class, parenting and misplaced loyalty in shaping the tragedy. Rachel Willson-Broyles’s excellent translation perfectly captures Maja’s voice – by turns vulnerable and defiant – as she struggles to deal with events.” A tough, but excellent read. 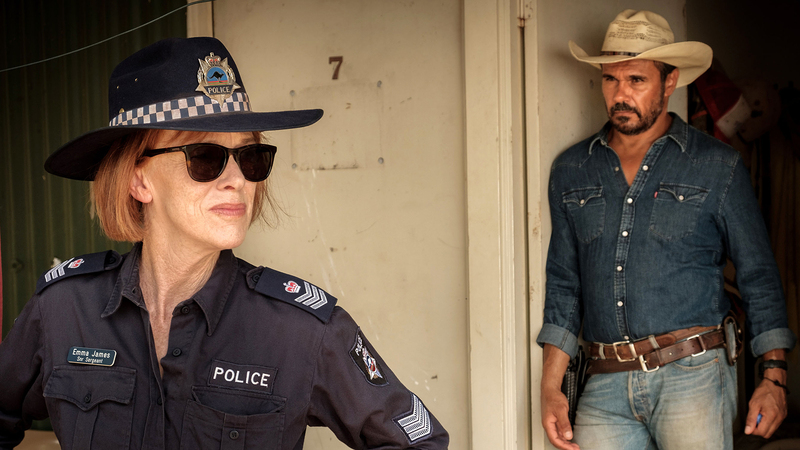 Mystery Road is set in the arid town of Patterson in north-western Australia. When local worker Marley Thompson goes missing, Senior Sergeant Emma James (Judy Davis) calls in detective Jay Swan (Aaron Pedersen) to help her solve the case. As they form an uneasy alliance and the investigation unfolds, we’re shown not only how Marley’s disappearance impacts on his family and the local townsfolk, but how long-held secrets are shaping the events taking place. The drama provides viewers with a nuanced depiction of an Aboriginal community and packs genuine emotional punch. 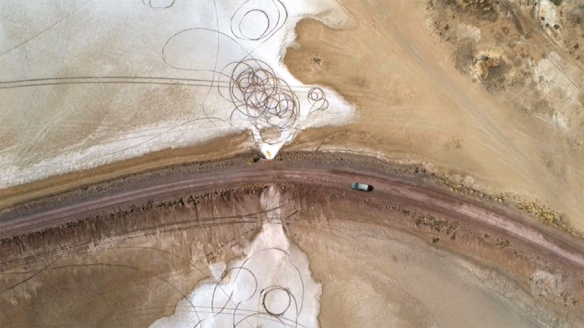 The cinematography is stunning, with aerial shots capturing the vast, harsh beauty of the outback. You can read my full review here. An outstanding genre-defying fusion of thriller, whodunit and Western. 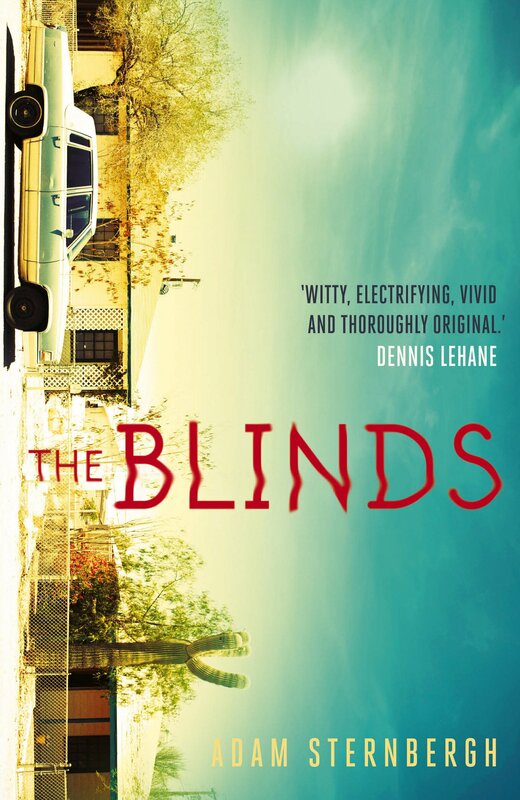 The Blinds is a speck of a town in rural Texas, populated by criminals and witnesses who have their memories wiped as part of an experimental programme that allows them to ‘start over’. Sheriff Calvin Cooper has policed the town for eight years without major incident, but now suddenly has a suicide and murder on his hands. These bring outsiders to the town, all of whom have agendas that will play out in different ways in the days ahead. 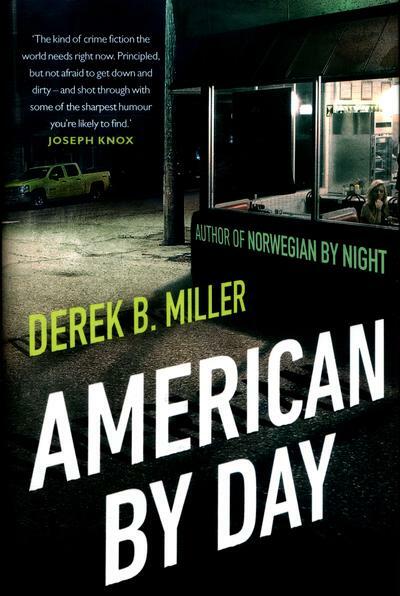 The novel tackles big themes – criminality, redemption, the role of memory in identity formation, what makes a proper community – but is also a thrilling rollercoaster ride. Beautifully written with fabulously inventive touches… such as the way the residents acquire their new names. Janina Duszejko, a reclusive sixty-something-year-old who’s obsessed with astrology and the poetry of William Blake (the source of the novel’s title), lives in a Polish village near the Czech border. When one of her neighbours is found dead, followed by a member of the local hunting club, she speculates that the animals they’re hunting are taking revenge, and decides to investigate. A quirky existential take on the Miss-Marple-amateur-sleuth model, Drive Your Plow has a distinctive narrative voice – as suggested by chapter titles such as ‘Now Pay Attention’ and ‘A Speech to a Poodle’, and caused a stir in Poland by daring to question its deeply rooted hunting culture. 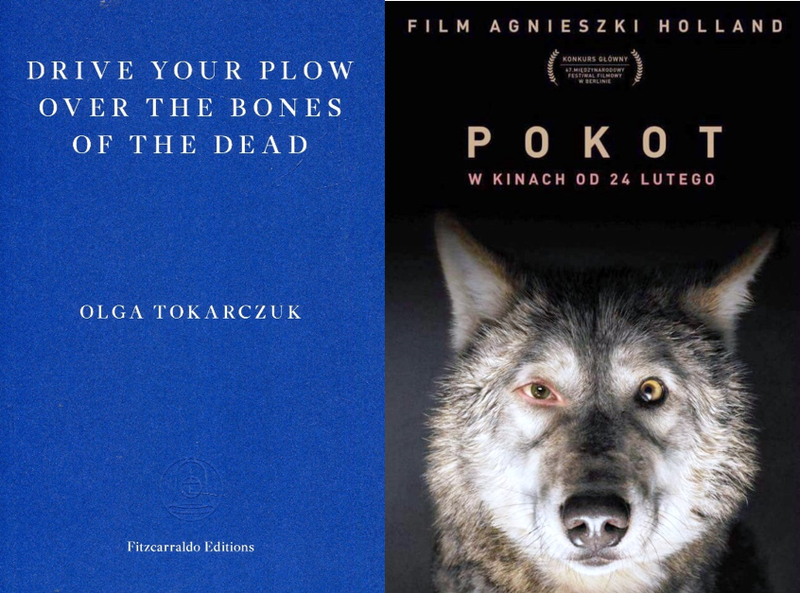 Plow has recently been adapted for film by acclaimed director Agnieszka Holland (titled Pokot; I’m keen to watch it soon). 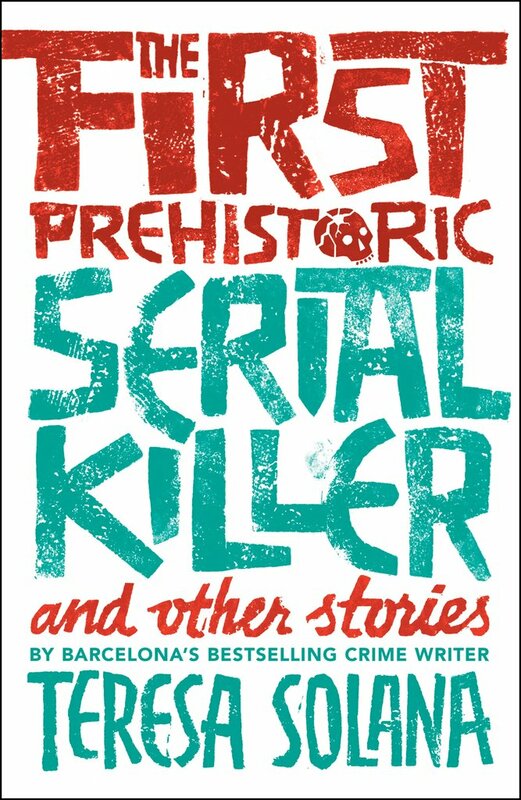 The First Prehistoric Serial Killer is a collection of freewheeling crime stories, whose narrators include a prehistoric caveman, protective mother-in-law, spoiled museum director, a vampire and a houseful of ghosts. 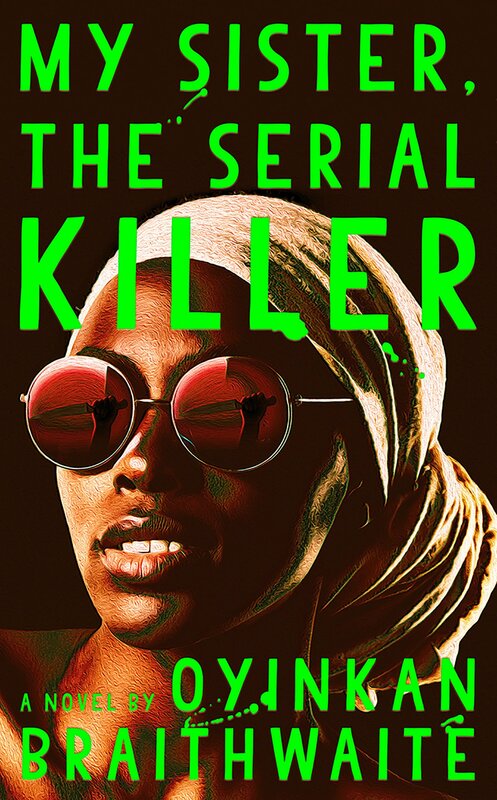 Each story gives the author the chance to stretch her imagination to the full, with equal measures of crime, humour and the grotesque mixed into a tasty criminal cocktail. The second half of the book is particularly inspired – a set of eight Barcelona stories under the heading ‘Connections’. Readers are challenged to spot the links between the stories, which proves to be great fun. You can read my full review here. Belinda Bauer is a hugely original writer, who uses the crime genre to explore both intimate scenarios and big themes. Snap opens with the disappearance in 1998 of pregnant mother Eileen Bright, who leaves her broken-down car on the M5 to phone for help. In the car are her three young children, Jack, Joy and Merry, who gradually realise that their mum isn’t coming back. A grim scenario, but one that’s never gratuitously exploited by the author. Instead, she shows in human and sensitive detail what happens to the family – mainly from the children’s point of view. Jack’s fight to find out the truth of what happened that day and the brilliant depiction of a host of characters, including grumpy DCI Marvel, make for a compelling read. There’s some razor-sharp humour in the mix too. The novel was longlisted for this year’s Man Booker Prize. A fabulous science fiction/crime mash-up. The novel opens with Alma, a private detective in a near-future England, investigating the discovery of a body in the boot of a car. It shouldn’t be possible for the body to be there, because the factory where the car has just been made is off-limits to humans. So how did the corpse wind up in the boot? This nifty locked-room mystery is set in a complex future world where an evolved version of the internet – the Shine – lures citizens into living almost completely virtual lives. 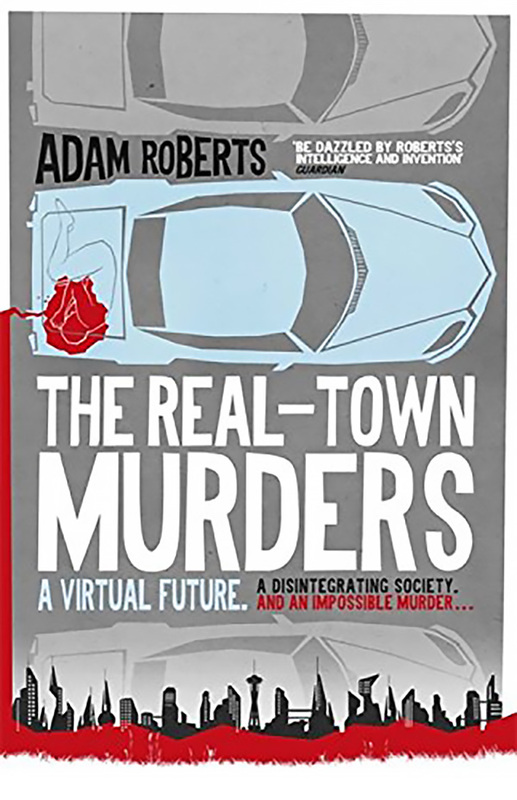 The tension between the virtual and the real, and the political power struggles it creates, are explored in this stylish, high-octane murder mystery. One for anyone who’s ever been to Reading! You can read my full review here. This graphic novel, a modern-day reworking of Dickens’ A Christmas Carol, is an absolute delight. Our Scrooge is the eponymous Cassandra Darke, a disgraced London art dealer who is inadvertently drawn into a world of criminality…and possibly murder. This book would make an extremely handsome Christmas present, not only because of its author’s artistic and story-telling talents, but because it is so beautifully produced. 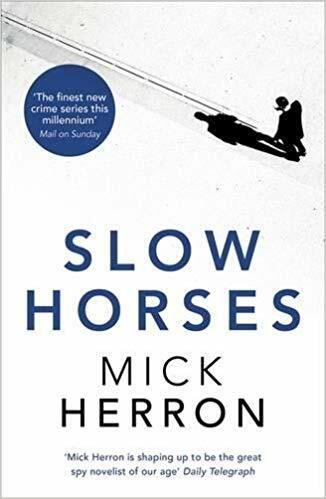 Plus, it might be easier on the reading eye than a novel after a few glasses of Christmas plonk… You can read my full review here. 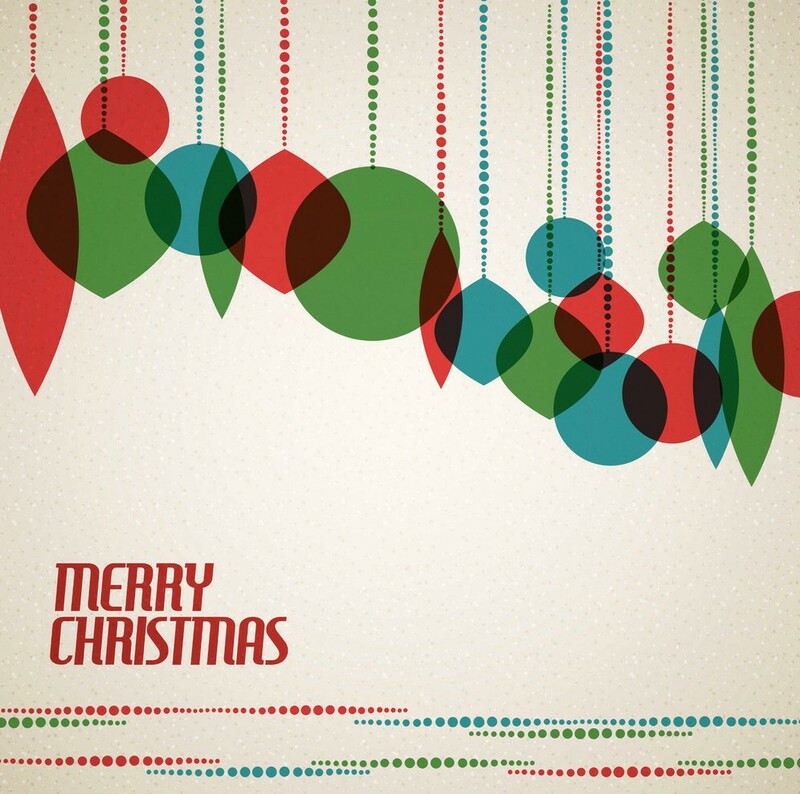 Wishing you all a wonderful and very merry Christmas! Posted on November 24, 2018 by Mrs P.
The German and French literary worlds lost one of their most talented, versatile and beloved translators last month. Anthea Bell died on 18 October at the age of 82, and the number of obituaries and articles honouring her achievements – from The Guardian to The New York Times – testify to the stature and range of her output. If you read Asterix in English as a child, as I did, then you had the luck of being introduced to Anthea’s skills early on. 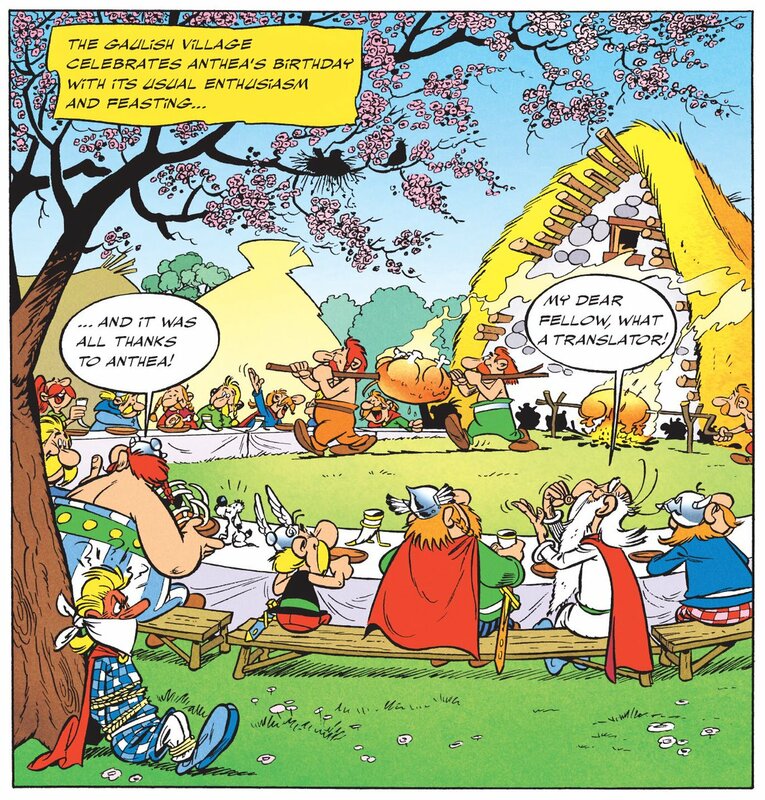 Who could ever forget her delightfully inventive translations of assorted villagers’ names – Getafix the potion-cooking druid, Cacofonix the tone-deaf bard, Vitalstatistix the generously proportioned chief, and of course Dogmatix, Asterix’s little sidekick? And there was pretty much nothing that Anthea couldn’t or didn’t translate, from the luminaries of German literature and thought – Sigmund Freud, Franz Kafka, Stephan Zweig, W. G. Sebald, Julia Franck, Saša Stanišic – to children’s literature – Cornelia Funke and Erich Kästner – to a surprising amount of crime fiction. There’s every conceivable type of crime on that list: classic crime, police procedurals, private-eye novels, courtroom dramas, psychological thrillers, comic crime, historical crime and true crime. 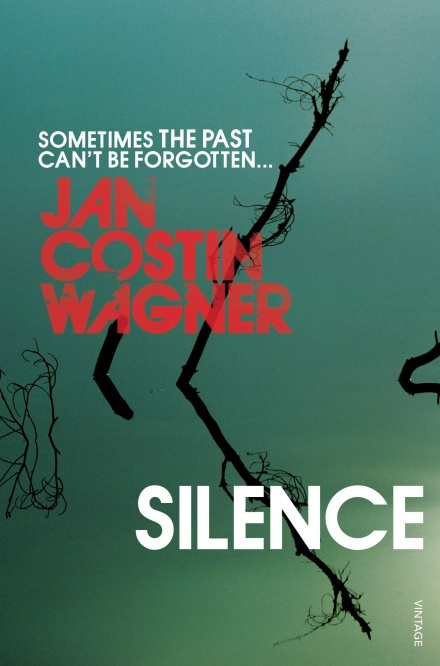 The novel below is one of my favourites (a German-Finnish hybrid police procedural and psychological crime novel). The fact that Anthea was such a prolific translator of crime fiction isn’t really mentioned in her obituaries, and that’s a shame. Translating crime fiction requires a very special set of skills – you need an eagle-eye for plot shifts, for nuances of characterization, tone and pace, and for red herrings and clues that depend on precisely calibrated wording. 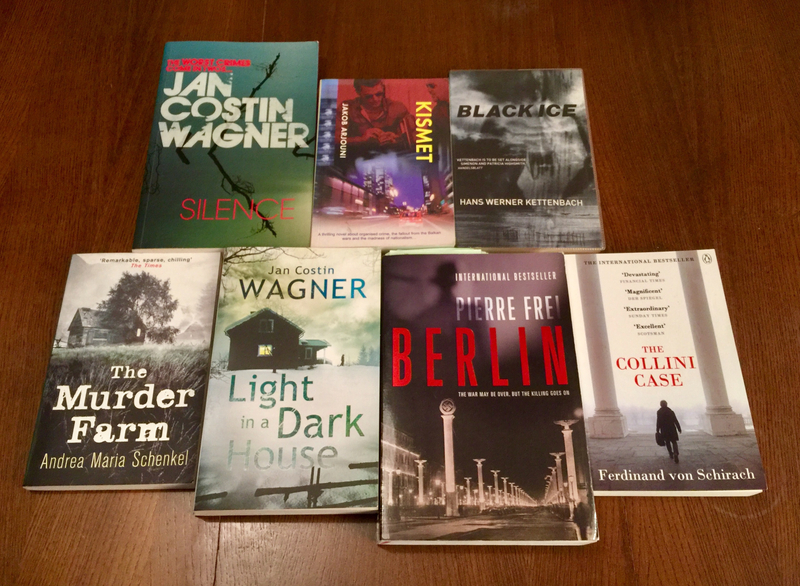 And of course, as one of the bestselling genres, crime fiction reaches a mass audience, making it the perfect vehicle for getting German, Austrian and Swiss literature into the hands of eager crime fiction fans in the English-speaking world … and surreptitiously introducing them to multiple facets of German history, politics and society. Anthea played a huge role in making that kind of cultural exchange happen through the hundreds of the works she translated in her long career. The loveliest thing is that Anthea was a genuine crime fiction aficionado. I had the good fortune of appearing with her on a Waterstones Piccadilly panel on German crime back in 2015, along with Barry Forshaw (our chair), Charlotte Ryland from New Books in German, and authors Sascha Arango and Bernhard Aichner. Aichner’s novel Woman of the Dead had just been translated by Anthea, and she gleefully recounted how much she had enjoyed translating the main character – the charming yet murderous anti-heroine Brünhilde Blum. Anthea turned out to be very knowledgeable about the early history of German-language crime, and put me onto a new source which I then included in Crime Fiction in German. She also took the time to tell me that she’d read and enjoyed this blog, which I thought was exceedingly generous and kind. Later, without her knowing it, she became my crime translation mentor, when I was asked to translate a short story from Ferdinand von Schirach’s Strafe / Punishment for a publisher. His works always make copious reference to the German legal system, legal procedure and German law, and Anthea’s prior translation of courtroom drama The Collini Case was a hugely helpful and reassuring guide as I worked to get those details right. 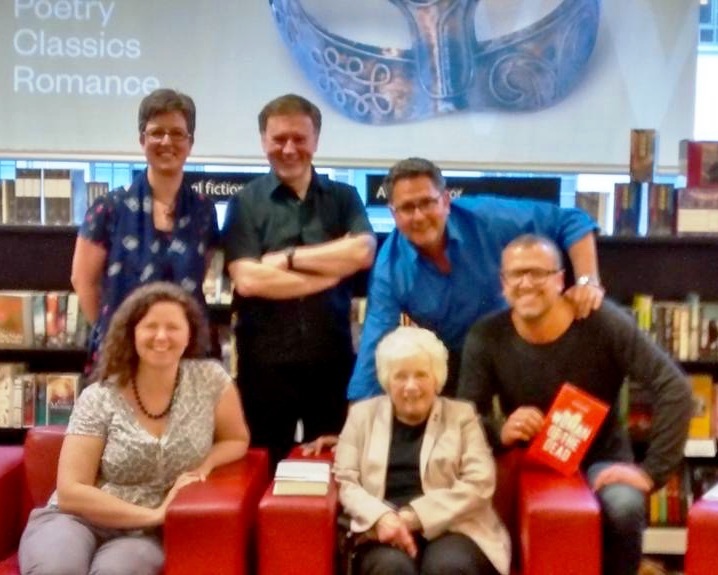 A bit blurry, but here we all are after the 2015 Waterstones Piccadilly event. Anthea is seated in the centre. Glancing through the list of titles above, I see there are a few I haven’t yet read. I’m intrigued by The Dark Side of Love (set in Syria) and by the sheep detectives of Three Bags Full – and look forward to enjoying Anthea’s talents and skills once more. There’s a lovely interview with Anthea Bell here, conducted by fellow translator Ruth Martin for New Books in German, to mark Anthea’s 80th birthday. 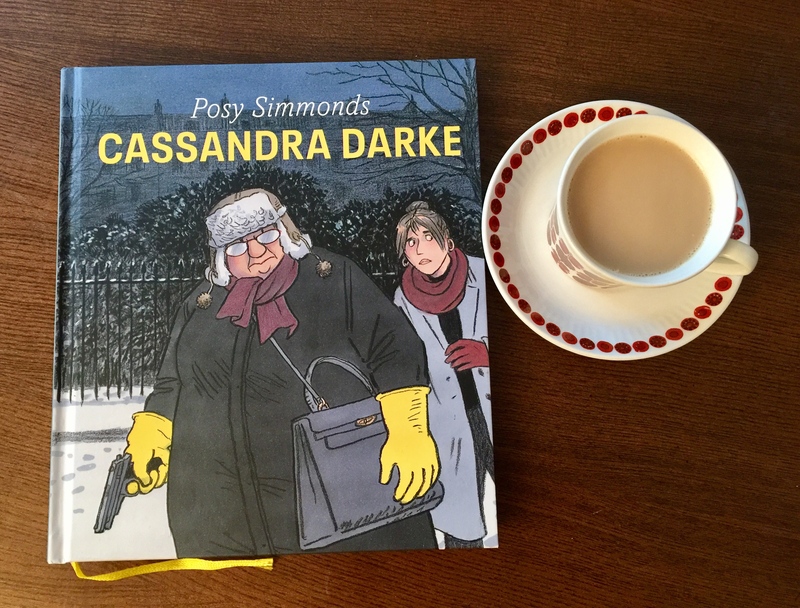 Posted on November 10, 2018 by Mrs P.
My work recently has involved lots of screen hours and acres of text, so when I saw that Posy Simmonds’ new graphic novel Cassandra Darke was out, and that it had a distinctly criminal slant, I knew instantly what my next read would be. As expected, it’s been a thorough delight. Opening line: ‘Last December – the 21st to be precise, and not so long before they came to arrest me – I remember buying macaroons in Burlington Arcade’. The first thing to say about this book is that it’s beautiful. Simmonds’ artwork, as ever, is exquisite, and is presented in hardback on high-quality paper, with gorgeous design touches like a yellow ribbon bookmark and yellow flyleaves, which match the yellow title and Cassandra’s Marigolds on the front cover. Just having the book in your hands is an aesthetic pleasure. Simmonds is known for taking literary classics as a point of departure – for example, 2007’s Tamara Drewe was a contemporary reworking of Thomas Hardy’s Far from the Madding Crowd. The inspiration for Cassandra Darke is Charles Dickens’ A Christmas Carol, although elements from the original story (such as the apparitions) are woven in with the lightest of touches. The most obvious similarity to Dickens’ story is the Scrooge-like characterisation of Cassandra, who’s a well-heeled art dealer living in a £7 million house in Chelsea, London. Completely self-sufficient, she lives life very much on her own terms, which is laudable in some respects, but not in others, as she’s often inconsiderate, abrasive and rude. Like Scrooge, she’s forced to go on a journey of personal discovery, partly because she overreaches herself in the art world, and partly because she gets drawn into a messy and potentially criminal situation by her lodger Nicki, the daughter of Cassandra’s ex-husband. In fact, the whole novel is stuffed with crimes – an unexplained body and art fraud are just the beginning – with Cassandra taking on the mantle of detective at one point. I loved Cassandra’s distinctive narrative voice, but the cast of characters around her, from lodger Nicki and ex-husband Freddie to Corker the dog, are all beautifully observed. Simmonds’ has a gift for capturing the cadences of dialogue, and of course the way in which she draws her characters and their settings tells us a huge amount about them as well. 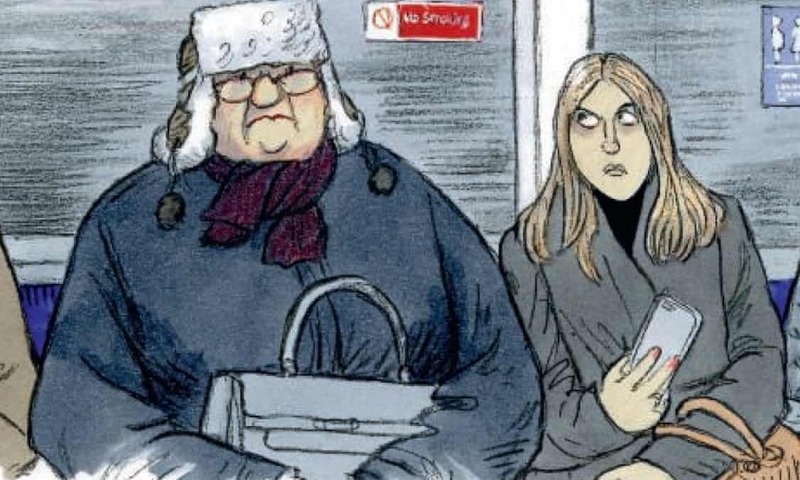 She also skilfully incorporates some trenchant social commentary on the wealth divide in London, on urban loneliness, and on various aspects of gender, class and violence. It’s only when you come away from the novel and start to mull on its themes that you realise how much the author has packed in. Having read Cassandra Darke once – primarily to get to the bottom of the crimes – I’m now keen to read it again. The story is told in three sections (the middle one a flashback), and I’d like to explore that narrative structure a bit more. But mainly, I’d like to spend some time just looking at the artwork and admiring how Simmonds melds images and words. This is a book that will keep on giving. Feast your eyes on a lengthy extract from the opening of Cassandra Darke over at The Guardian. 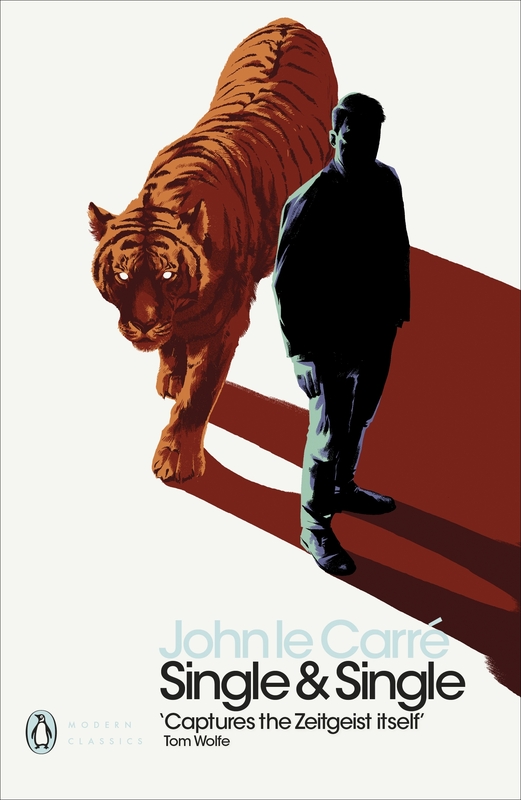 John le Carré’s Single & Single, and a Penguin Modern Classics giveaway! Posted on September 23, 2018 by Mrs P.
On 27 September, John le Carré will become the living author with the greatest number of works to have been published by Penguin Modern Classics: 21 in total, which also happens to be all of his works. This is an astonishing achievement, which underlines the author’s status as one of the most important writers of our time. 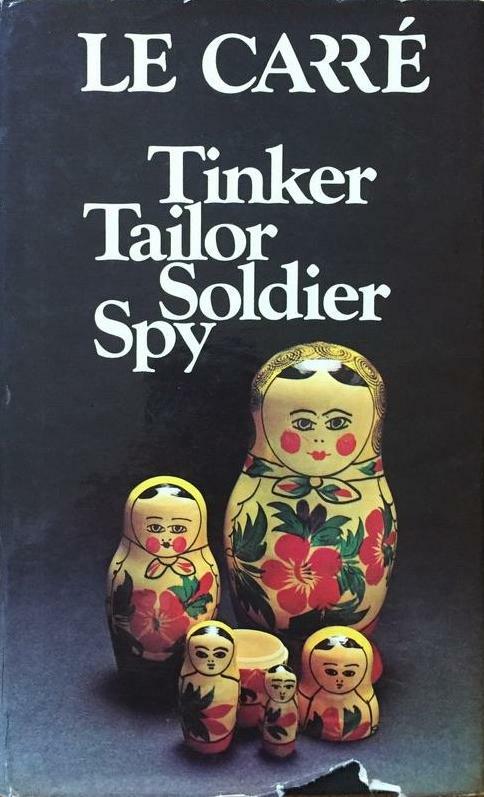 Since 1961, le Carré has famously portrayed the political and human fallout of the Cold War in his epic Smiley series, but his other novels have been equally ambitious and compelling, from The Constant Gardener to A Most Wanted Man to The Little Drummer Girl. The Little Drummer Girl, first published in 1983, becomes the latest addition to the le Carré Penguin Modern Classics set on 27 September. Its tale – of how young British actress Charlie is pulled into an Israeli operation to ensnare an elusive Palestinian terrorist – will also shortly reach our screens in a lavish six-part BBC One adaptation starring Florence Pugh, Alexander Skarsgård, Michael Shannon and Charles Dance. The director is Park Chan-wook, who my son tells me is a defining auteur of South Korean cinema. To celebrate this multitude of riches, Penguin has asked 21 bloggers to review the 21 le Carré novels in the Modern Classics series, and to help give away lots of books! The novel I’ve been asked to explore is Single & Single. Single & Single may not be a le Carré novel you have heard of before. Published nineteen years ago in 1999, it’s been rather overlooked, which is a shame as it’s something of a gem. 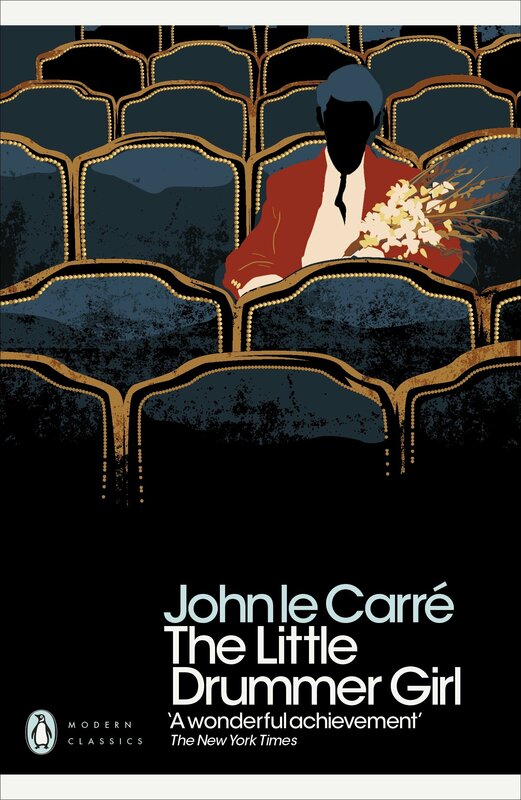 As in many le Carré novels, the reader is dropped right into the middle of the story. Three curious events are linked, but how? An corporate lawyer from the House of Single & Single is shot dead in cold blood on a Turkish hillside – by the firm’s top client. Children’s entertainer Oliver Hawthorne is asked to explain why five million and thirty pounds have appeared in his daughter Carmen’s bank account. The splendidly monikered financier Tiger Single vanishes into thin air. How these threads interweave is stylishly revealed over the course of the narrative. 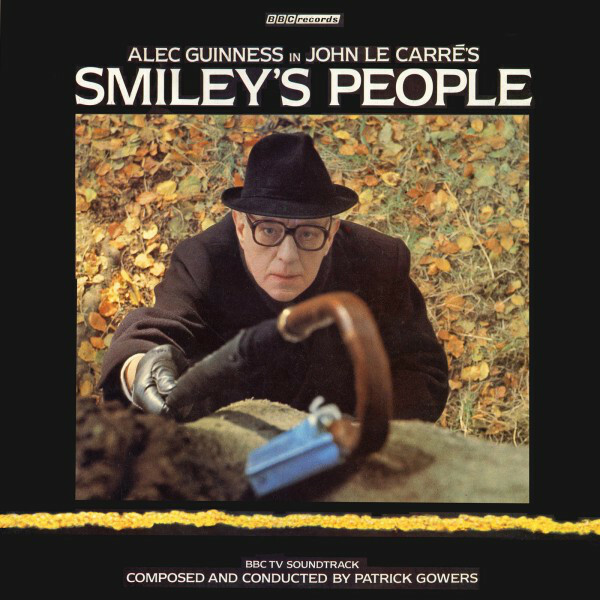 Single & Single contains a number of le Carré’s authorial trademarks. It’s a wide-ranging exploration of how respectable institutions mask and service international crime. It traces the way in which individuals find themselves sucked into complex situations in which they struggle to maintain any semblance of control. It examines the uneasy partnership between the government agencies and the people they often use shamelessly to achieve their (sometimes laudable) aims. And it takes on Big Universal Themes: the nature of loyalty, father-son relationships, integrity, morality and love. 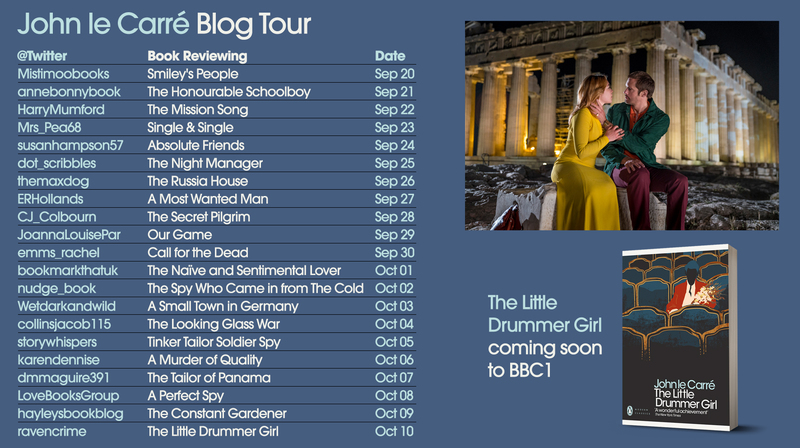 And so to the GIVEAWAY: Mrs Peabody has a copy of The Little Drummer Girl and a copy of Single & Single to give away to two lucky blog readers. Just write YES! in a comment below the post to be entered into the draw – no matter where you are in the world. Winners will be selected randomly and notified in due course. Good luck!